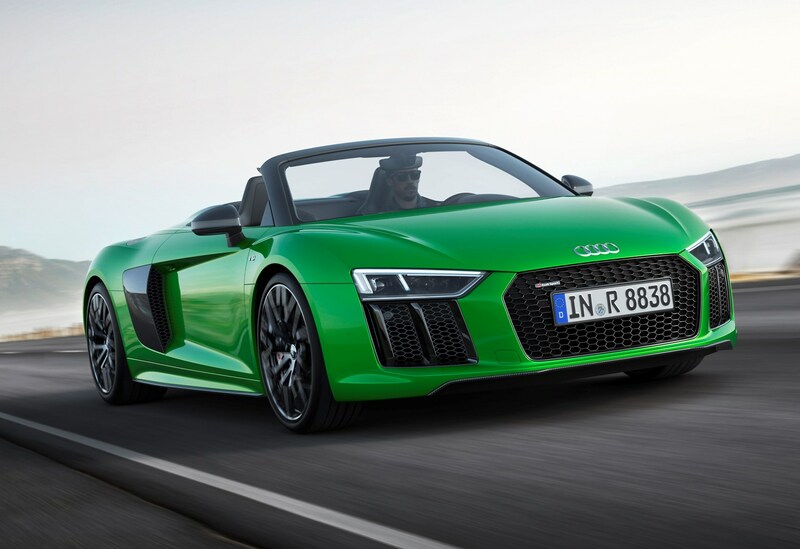 The Audi R8 Spyder has been given a nip and tuck for 2019. 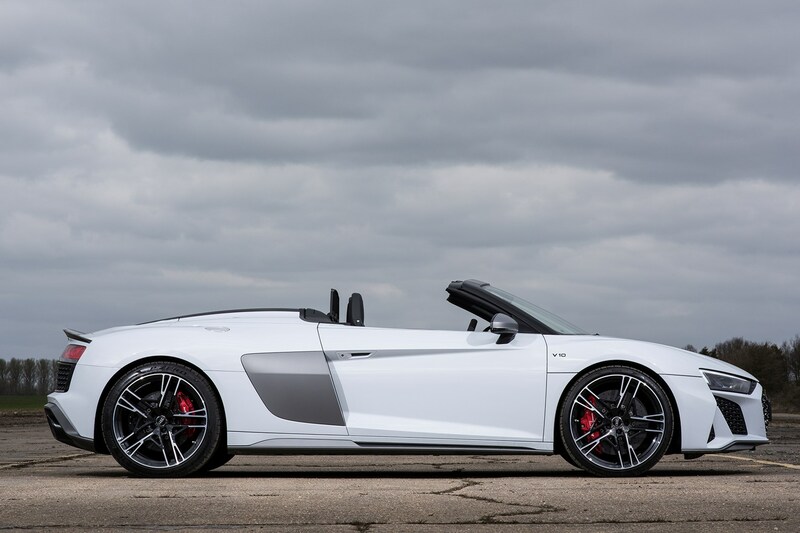 Some might wonder if it was necessary, given that the car it replaces has only been around since 2016 – but such is the pace of supercar development, it was beginning to look like a bit of an old- stager.The Spyder formula continues unchanged – it's the open-topped version Audi’s flagship Coupe, and continues to offer naturally aspirated V10 thrills in an increasingly turbocharged world. 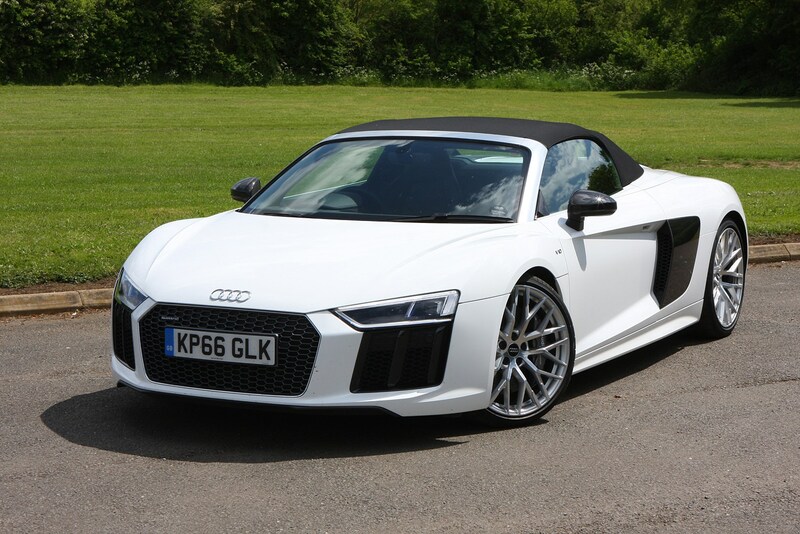 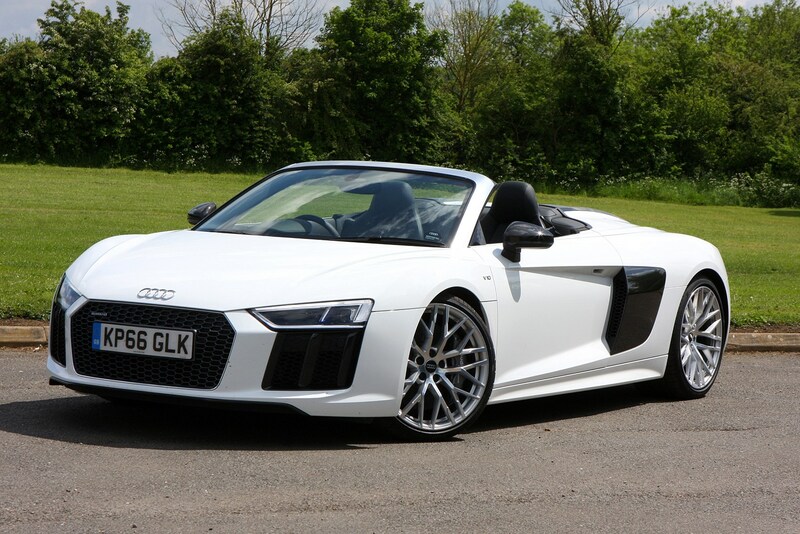 Although some would say its badge lacks the supercar kudos of Ferrari, Lamborghini and – arguably – McLaren, the Audi R8 is very much the real thing, with a hugely powerful V10 engine and engaging all-wheel drive handling. 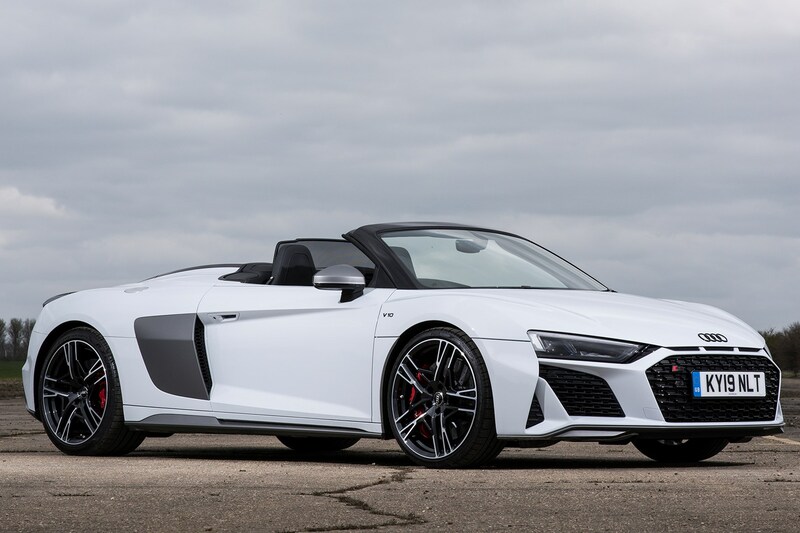 It needs to be – there are some very capable rivals out there, such as the Spider version of the McLaren 570S, the Porsche 911 Cabriolet and the Ferrari Portofino – but the Audi does a great job of maintaining its position of the supercar that anyone can drive. 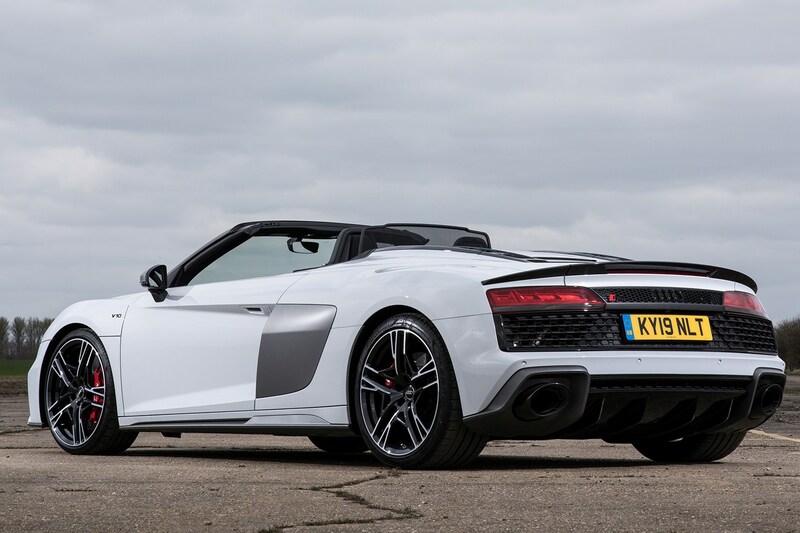 We’d be remiss not to mention the Lamborghini Huracan Spyder here too, because underneath that and the R8 share many parts. 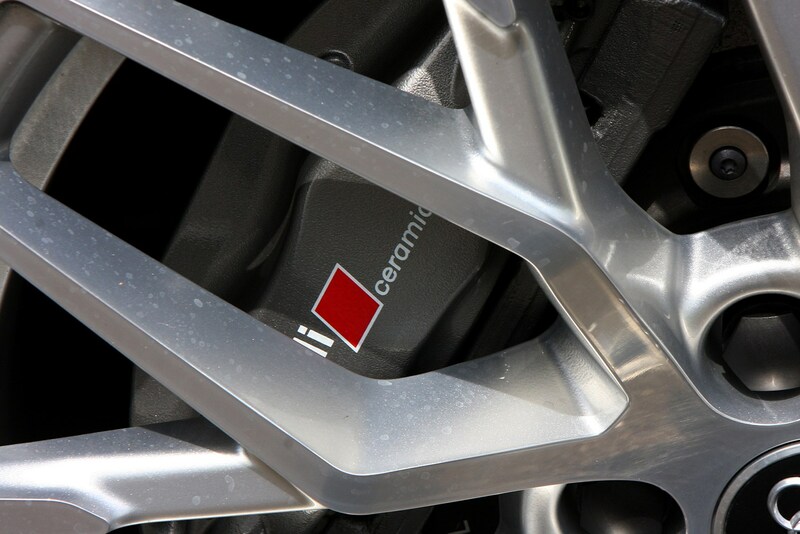 Both companies will tell you they're aimed at different buyers, though, with prices to match. 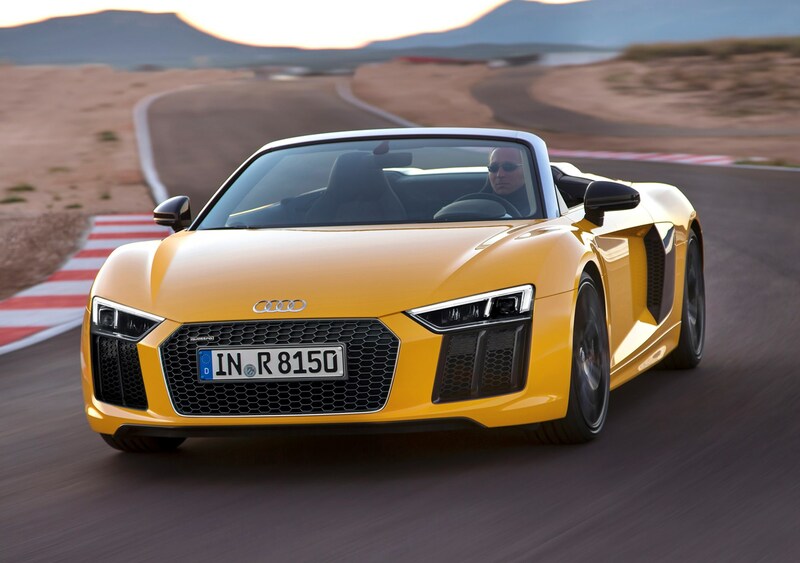 What makes the 2019 Audi R8 Spyder so good? 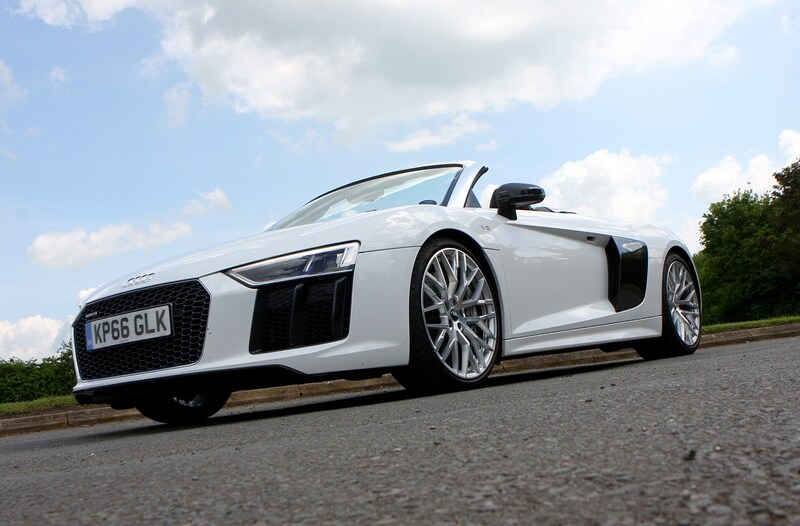 The Audi does so well thanks to its sheer breadth of ability, and it bears repeating that the majority of its appeal is that it's a dramatic supercar that's relateable for people who aren't used to supercars. 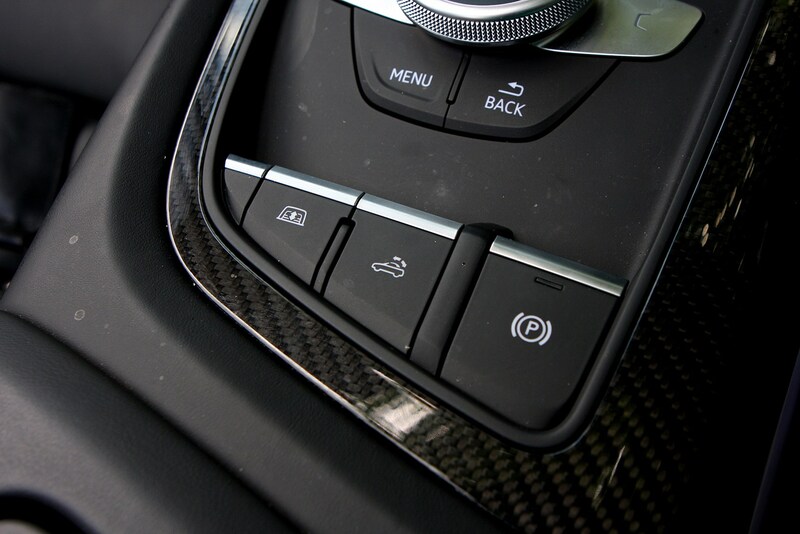 Anyone who's driven any Audi, from the A1 up, will feel comfortable and familiar with the R8, with a familiar set of controls. 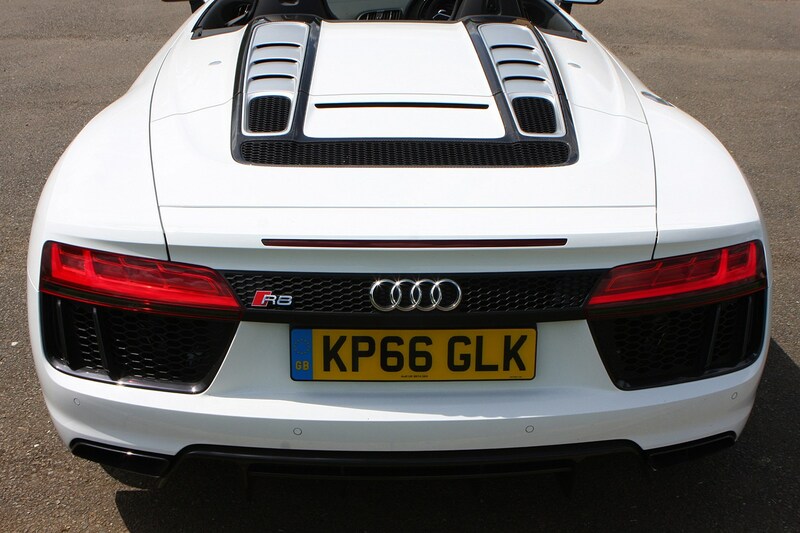 Despite that, the R8 just as at home on a race track with, all the power, performance and drama you'll ever need from a supercar. 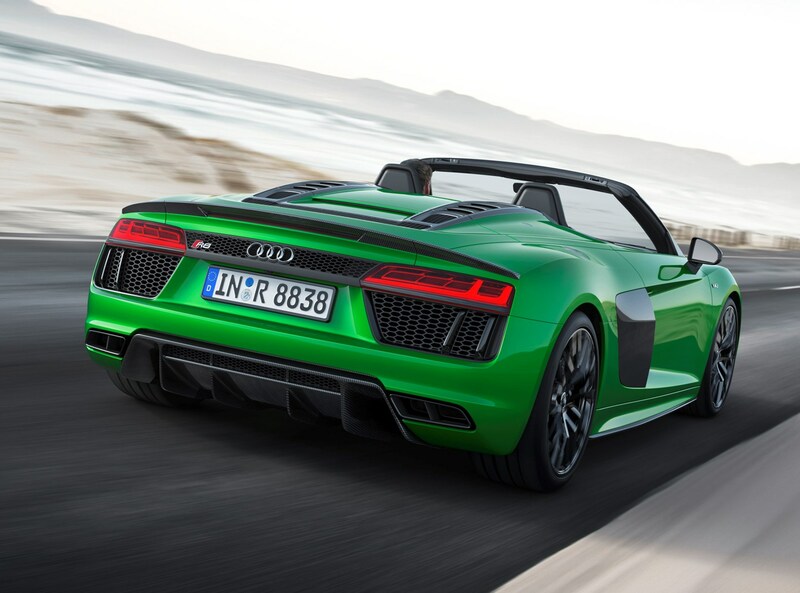 The highlight is the engine, which is an absolute masterpiece. 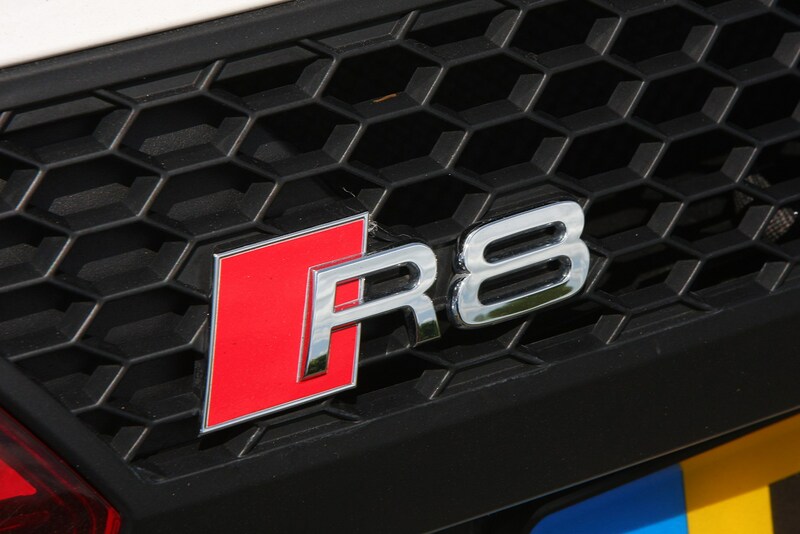 It's a not-inconsiderable 5.2 litres in capacity for 570hp in standard form, and 620hp if you go for the Performance derivative. 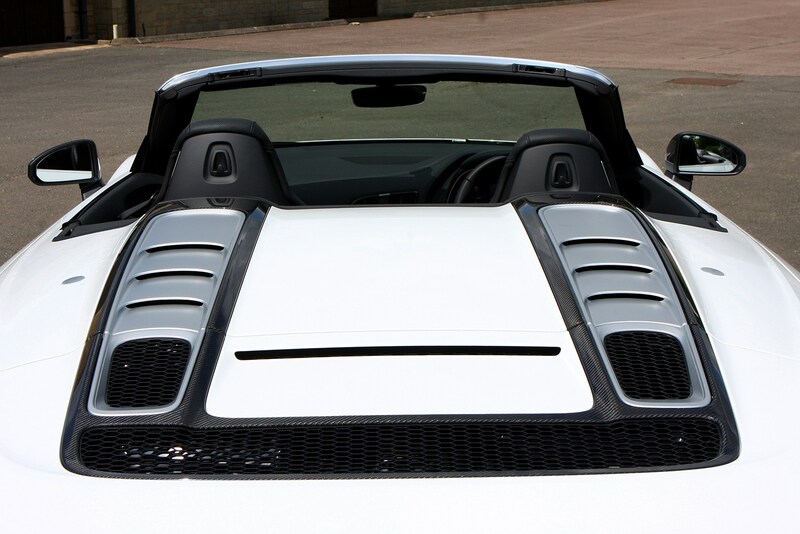 You’ll flash past 62mph in 3.5 seconds (3.2 for the Performance) and scream on to 200mph flat-out (204mph for the Performance). 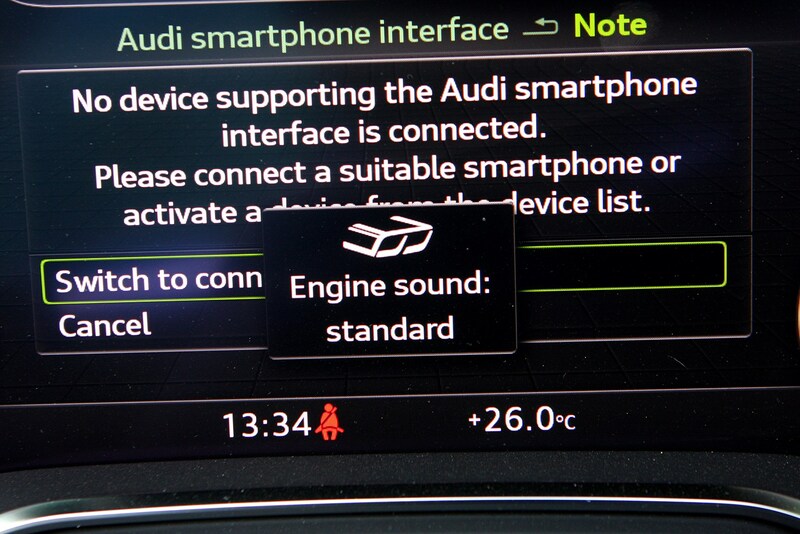 But what these numbers won't convey is the sheer drama of the noise it makes – it barks into life, idles noisily, and screams through to an 8,400rpm redline like no other car. 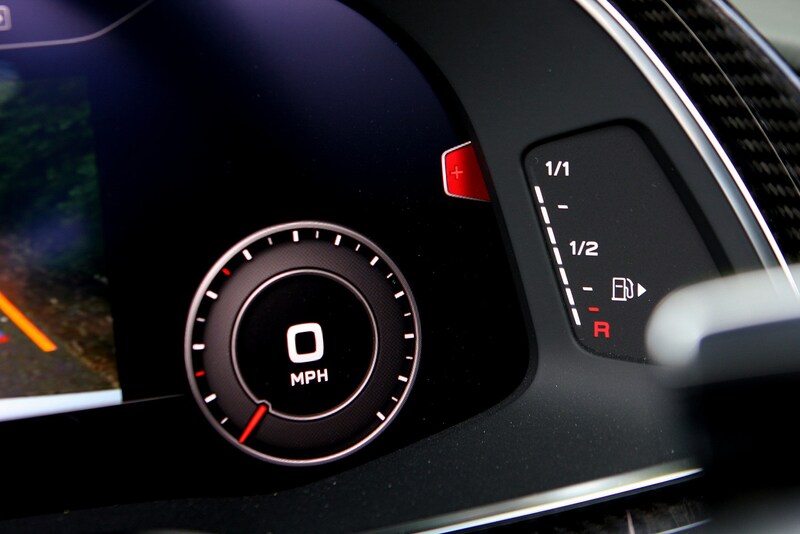 Thanks to the slick seven-speed S tronic gearbox it’s simple to harness the performance on offer, and its 80-litre fuel tank makes for a long range between fill-ups too (typically 350 miles at UK driving speeds). 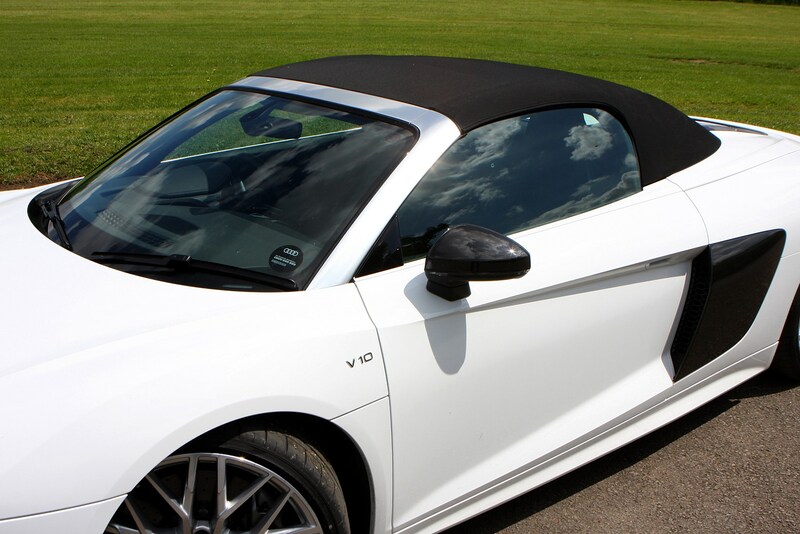 The fabric roof takes 20 seconds to lower and works at speeds of up to 31mph, adding further practicality, but it isn’t all good news. 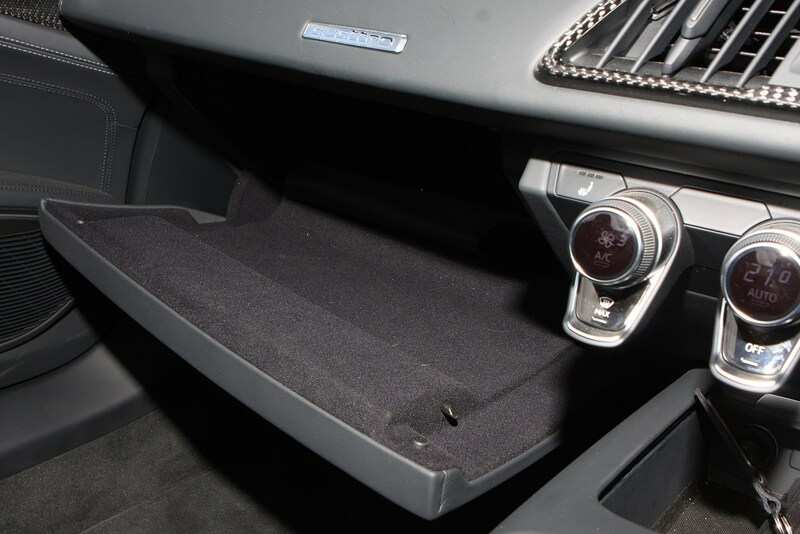 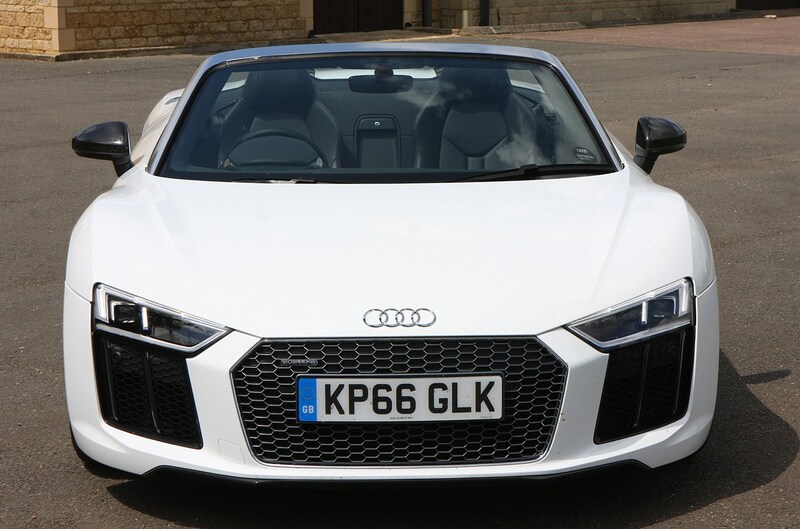 We wish the roof switch was a one-touch affair like the A5 Cabriolet's, and the amount of storage space in an R8 Spyder isn’t what you’d call generous. 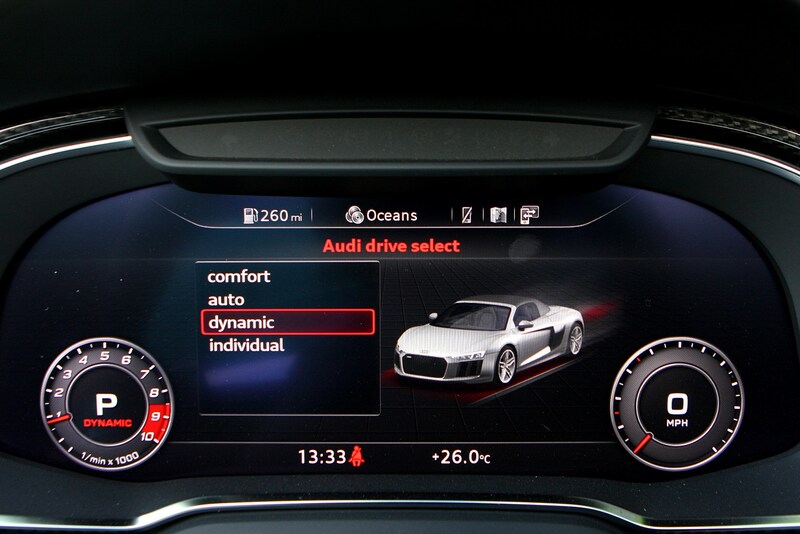 There isn’t a huge amount of choice here in terms of trim levels (V10 Quattro and V10 Performance Quattro). 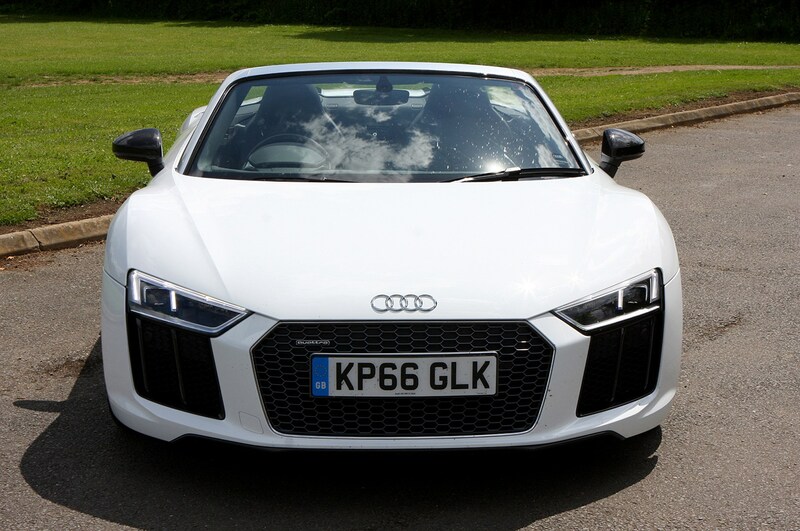 In fact, there’s just one, but you get a good level of kit thrown in. 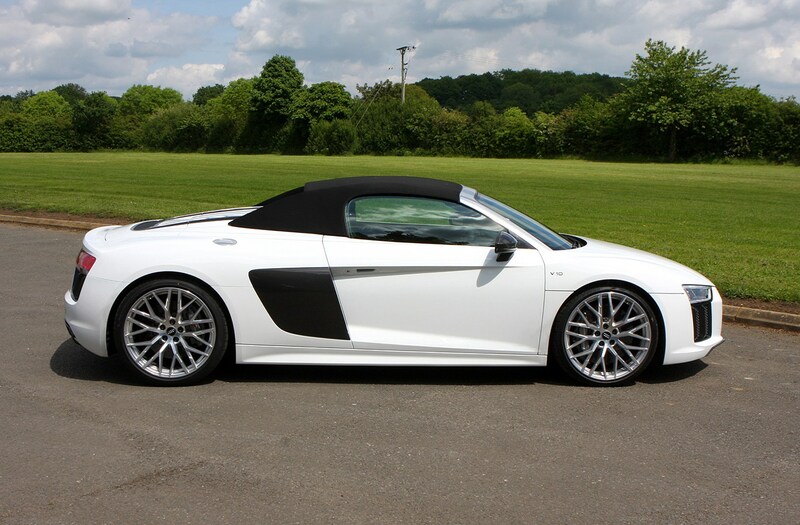 No R8 Spyder will leave the factory like that, though. 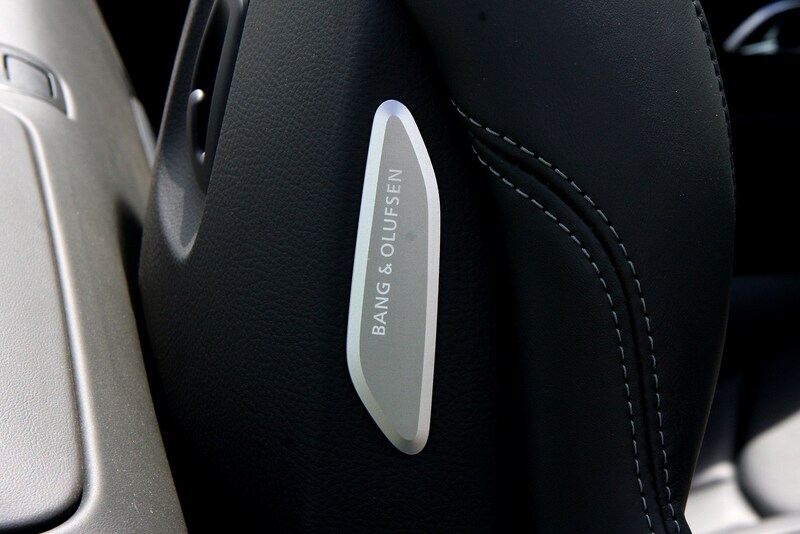 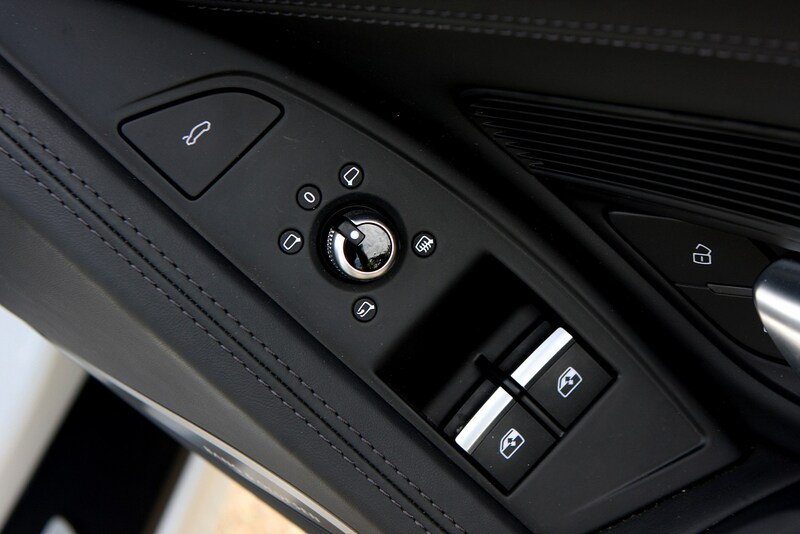 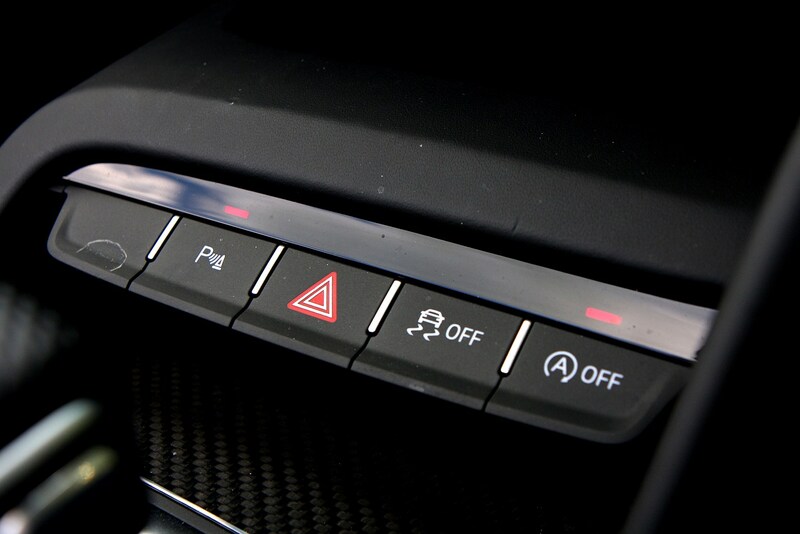 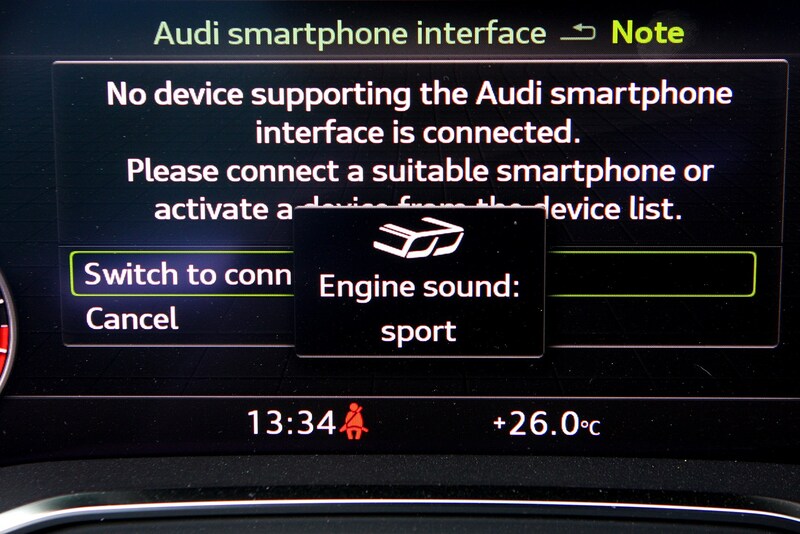 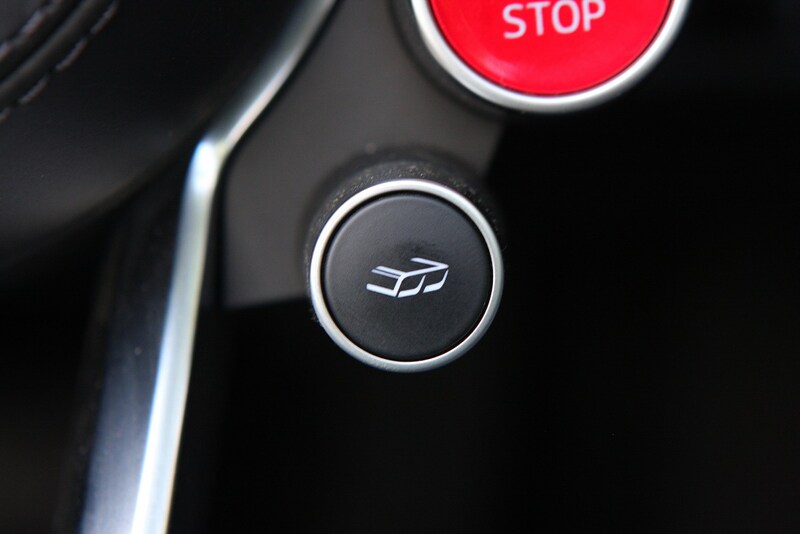 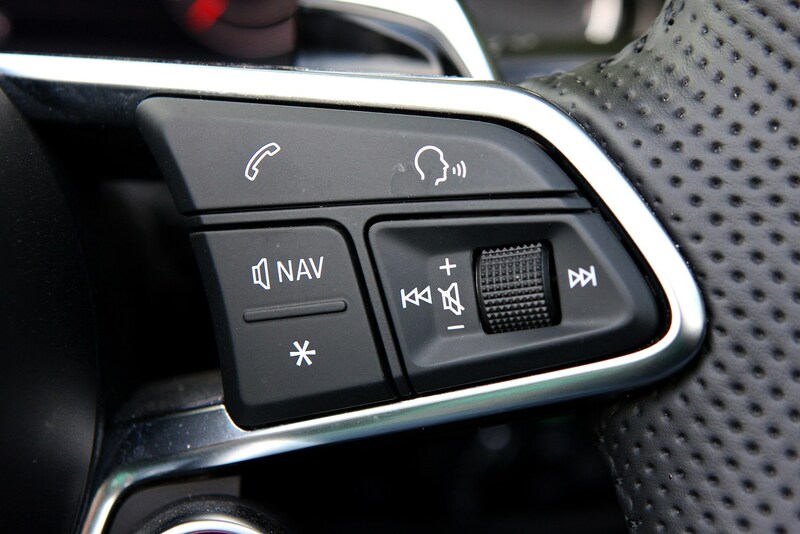 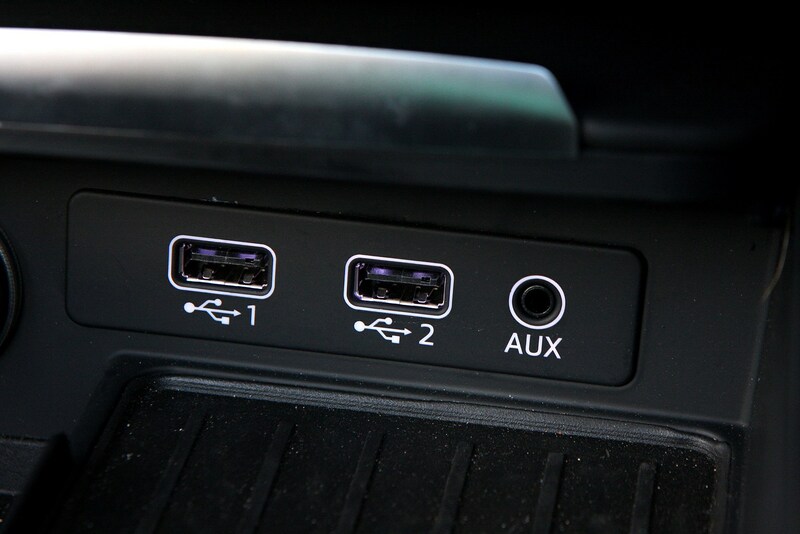 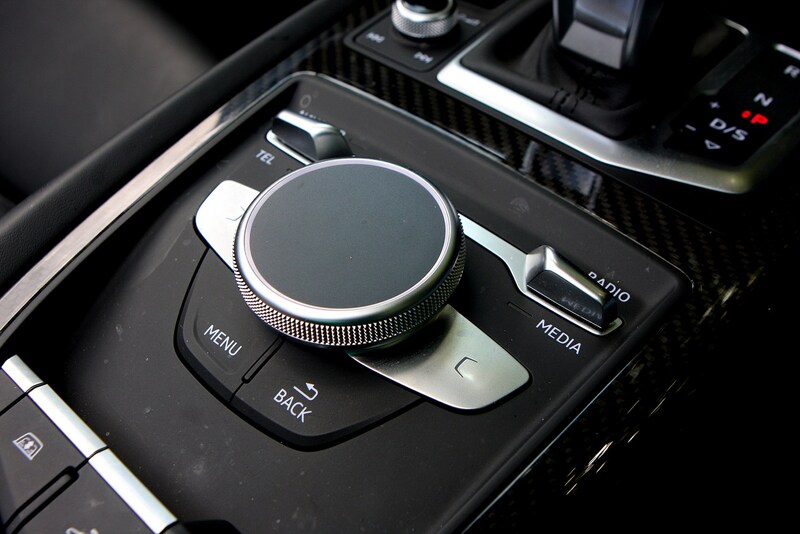 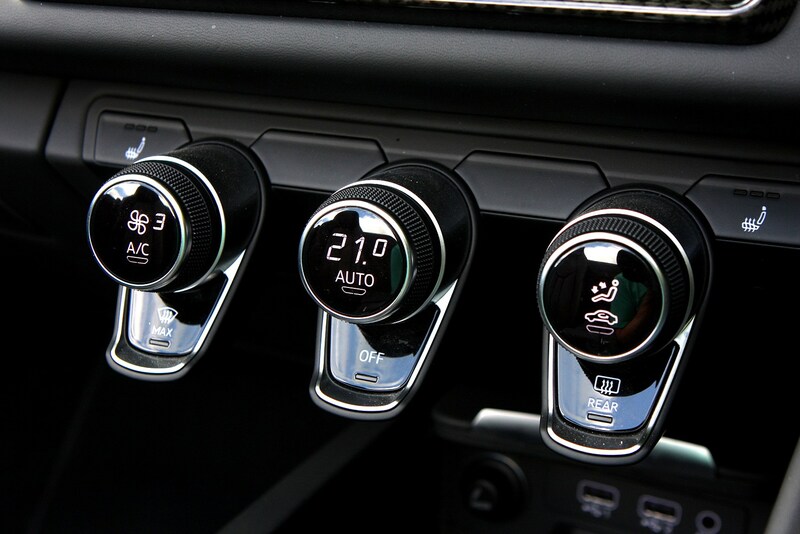 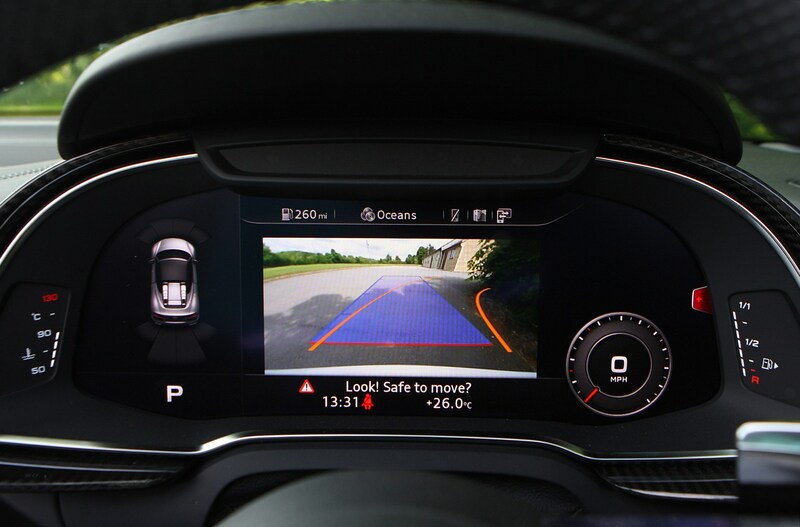 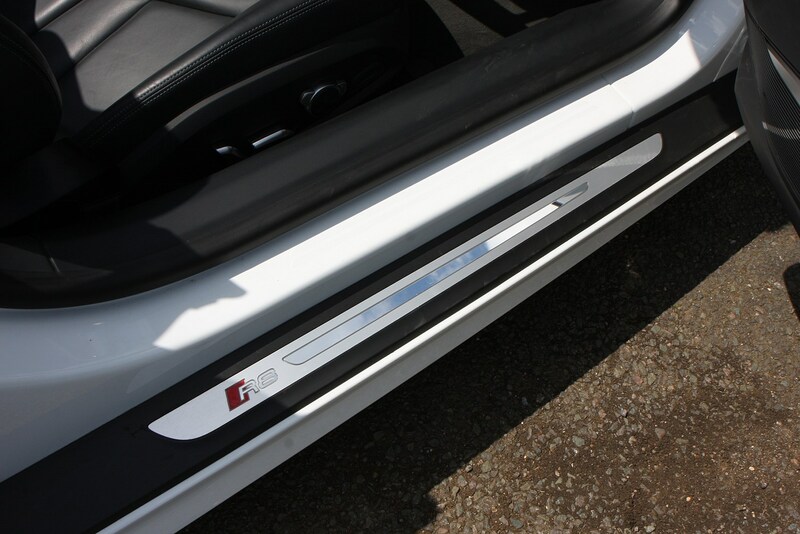 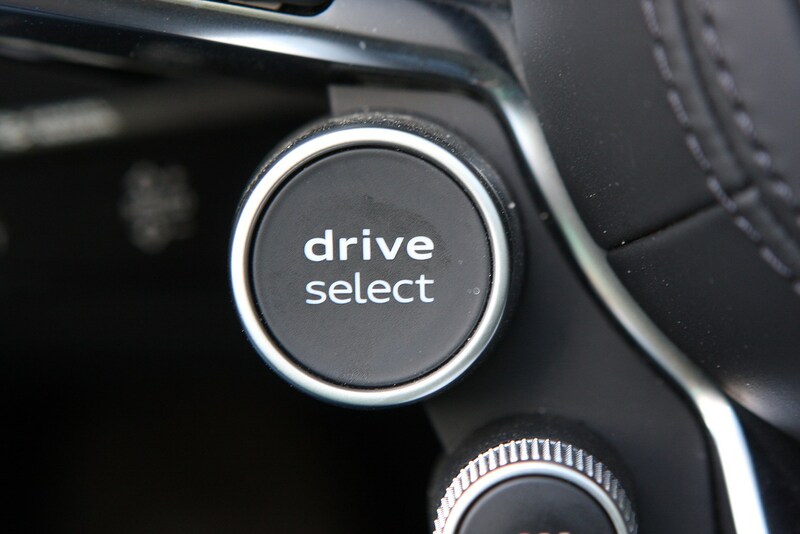 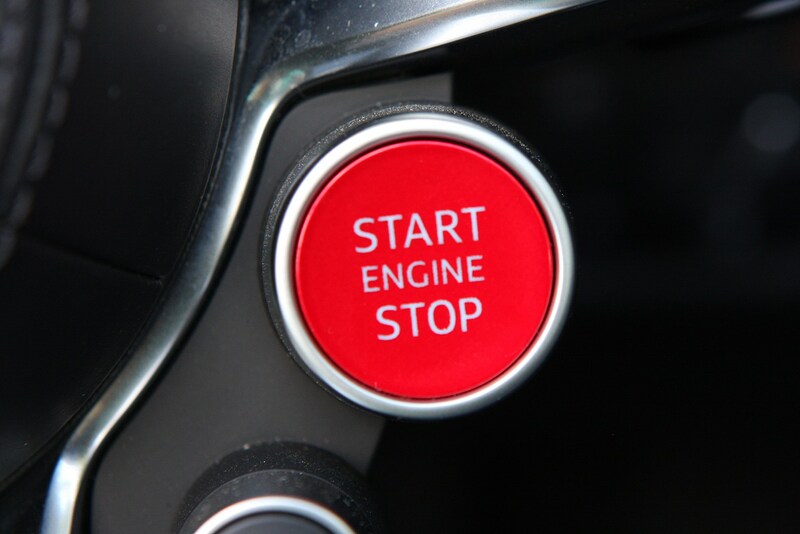 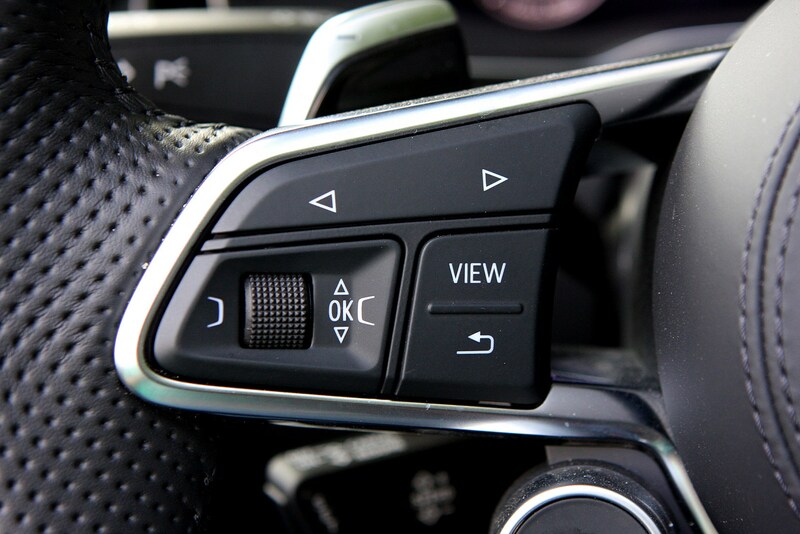 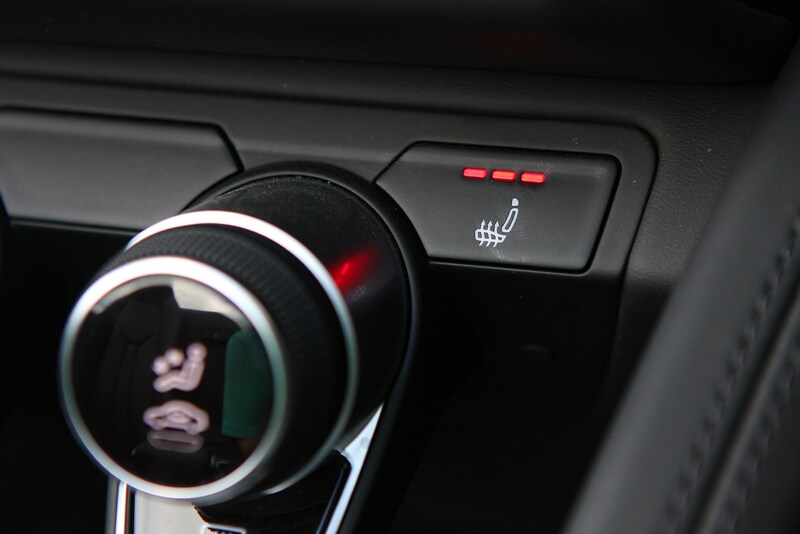 Every single one gets some level of personalisation, and your Audi salesperson will be thrilled to guide you through the encyclopaedic list of optional extras. 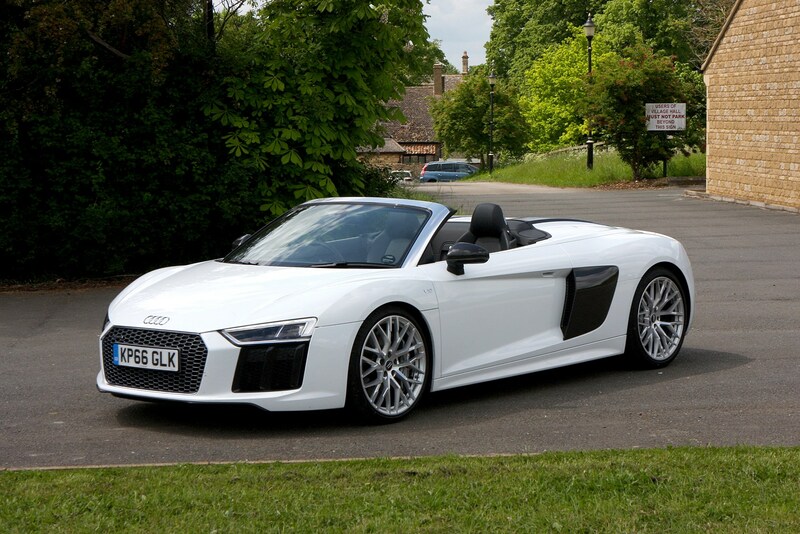 Through the Audi Exclusive programme you can have your car in literally any colour you can think of. 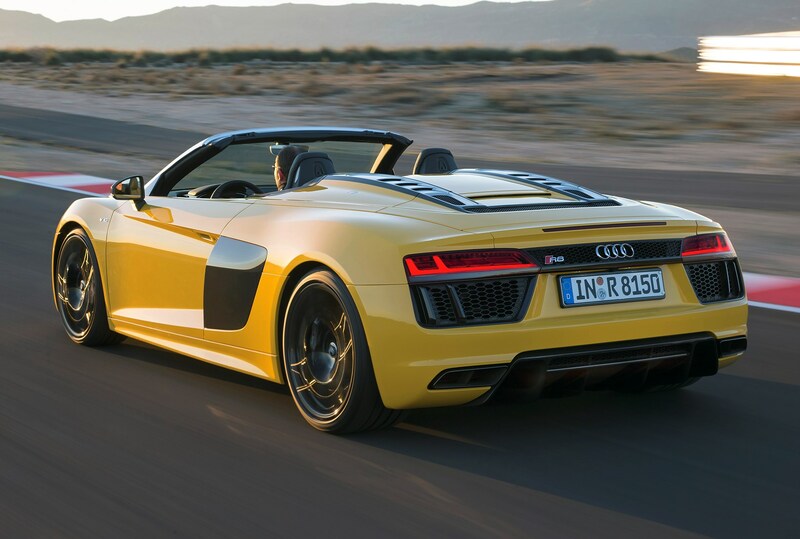 For those who needed more performance, a faster Plus version of this car was announced in June 2017, with deliveries following shortly after. 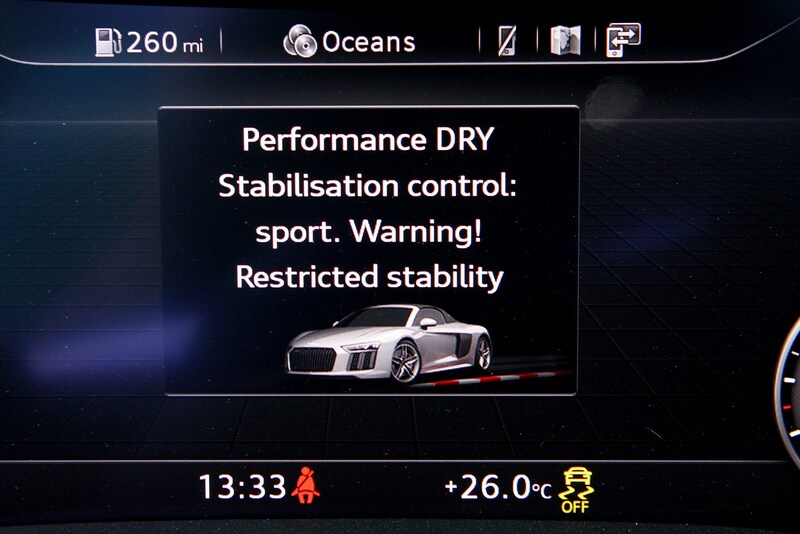 The headline stat here was a power hike to 610hp and torque of 560Nm, so the maximum speed was 203mph. 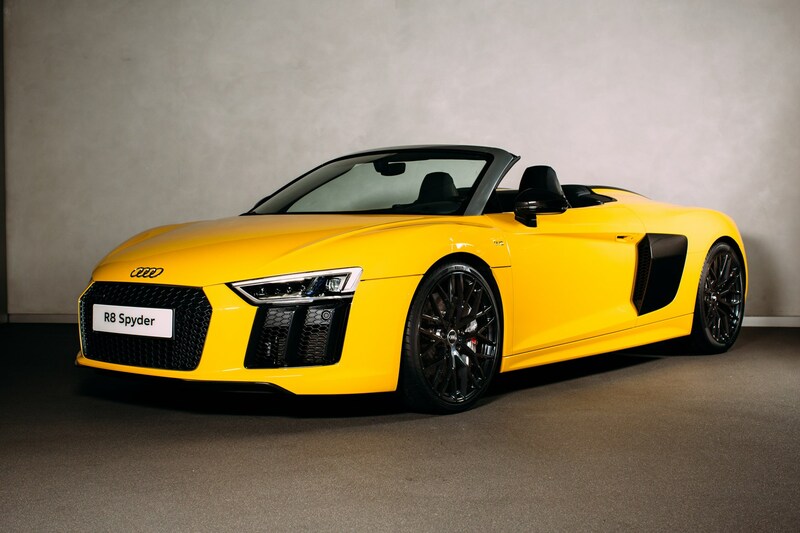 Unveiled at the 2017 Frankfurt Motor Show, the Audi R8 V10 Spyder RWS (Rear-Wheel Series) was a limited edition rear-wheel drive version of the standard R8 Spyder. 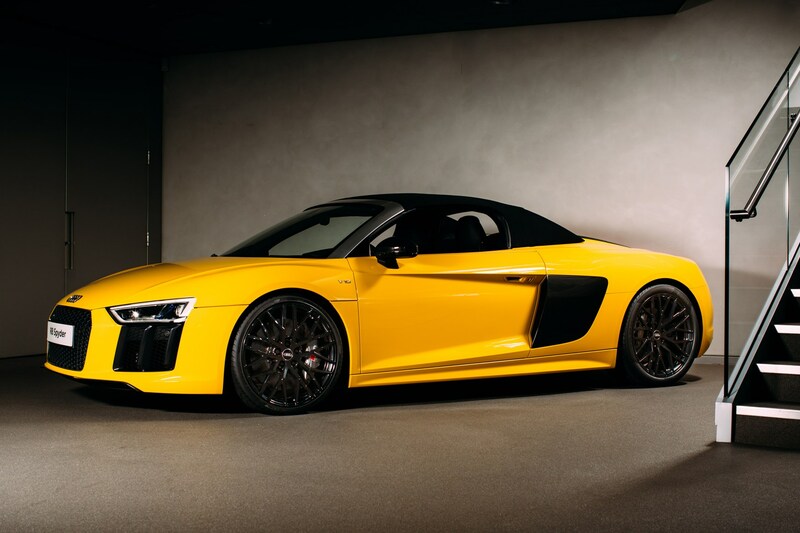 It delivered 540hp and 540Nm of torque, and was capable of launching from 0-62mph in just 3.8 seconds and onto a top speed of 197mph. 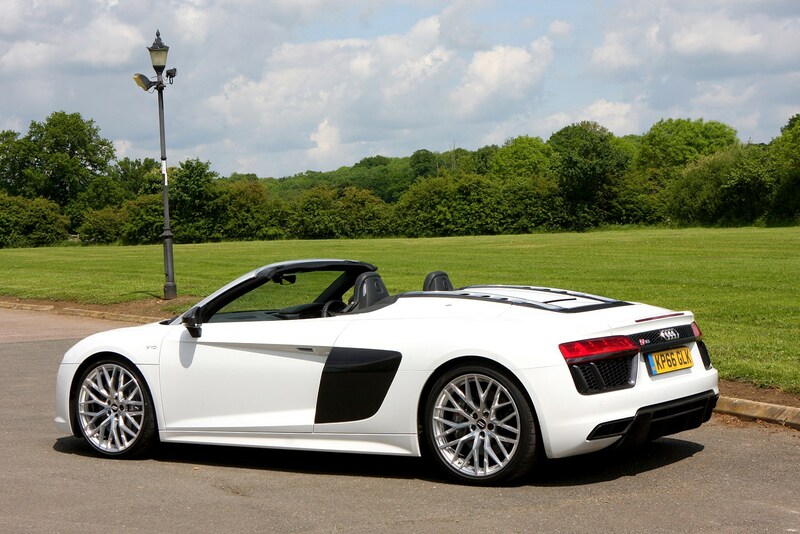 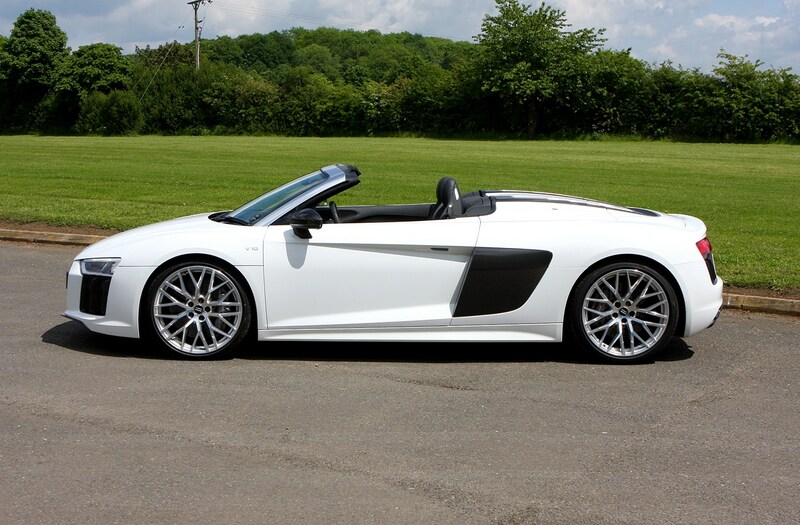 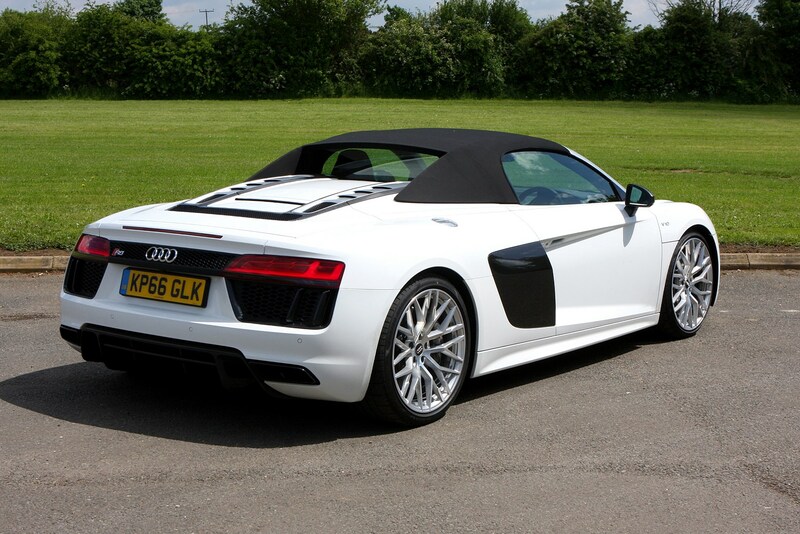 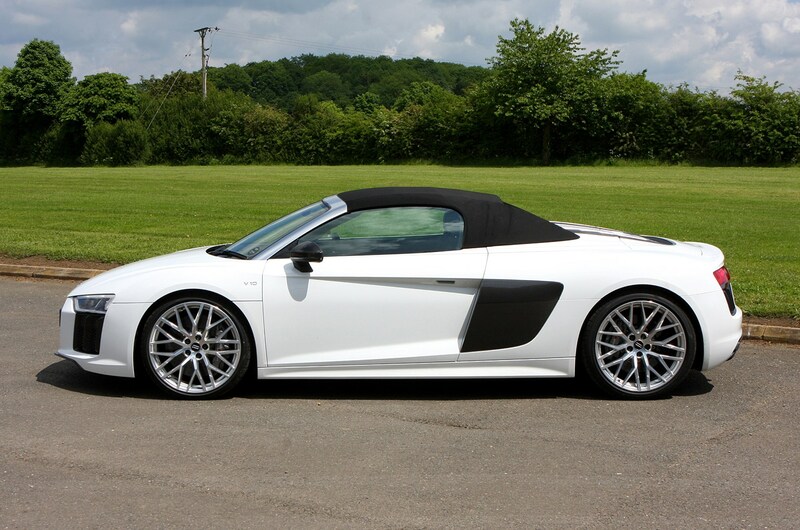 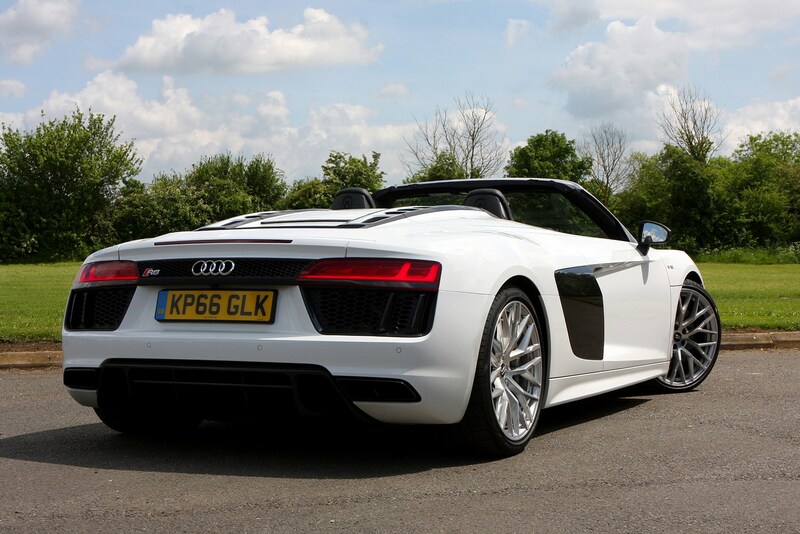 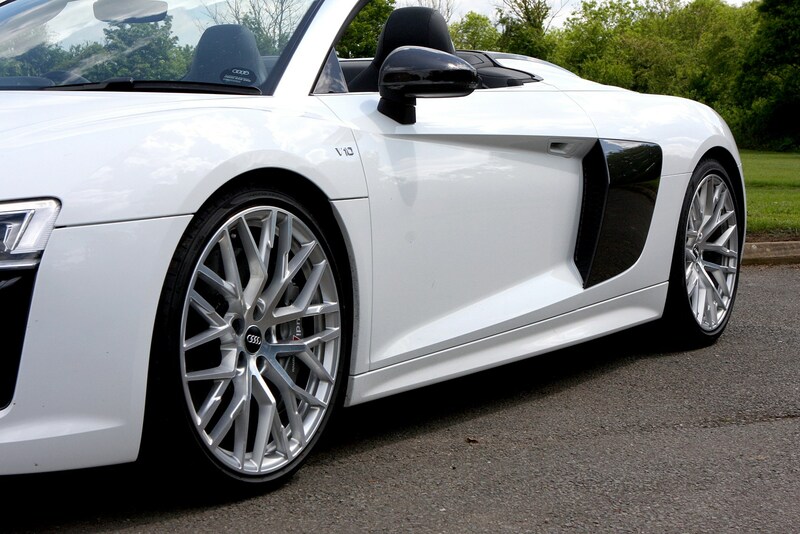 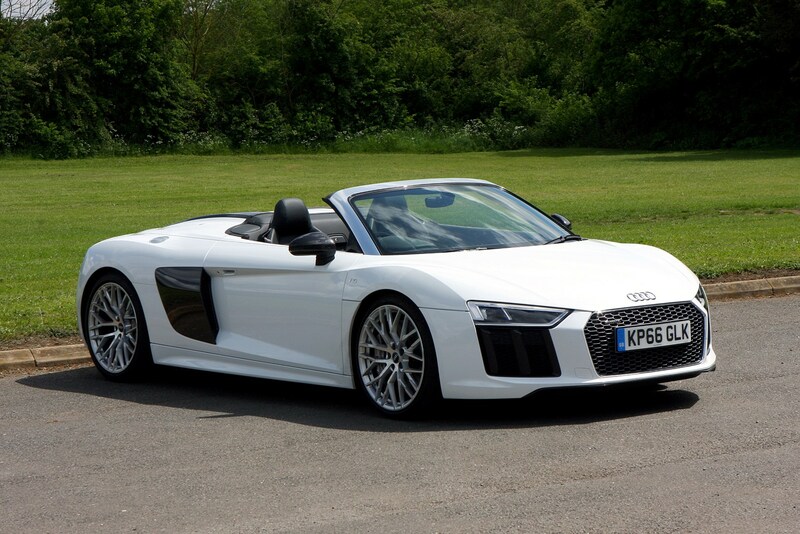 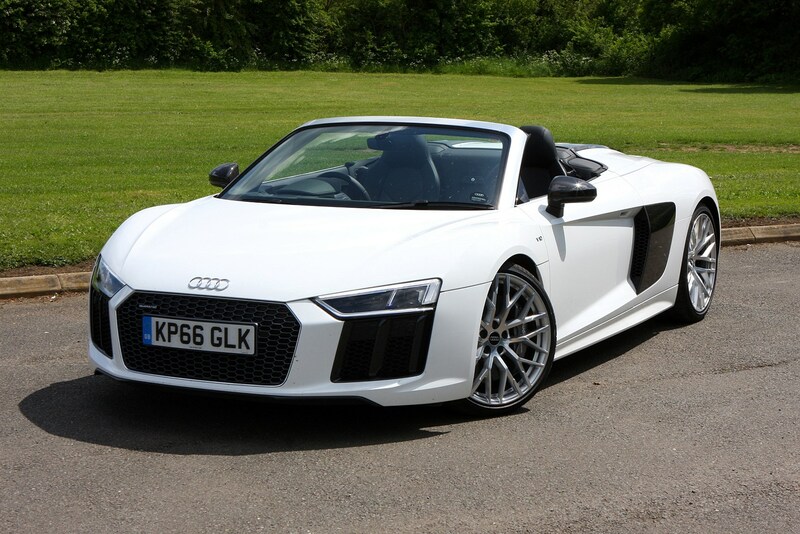 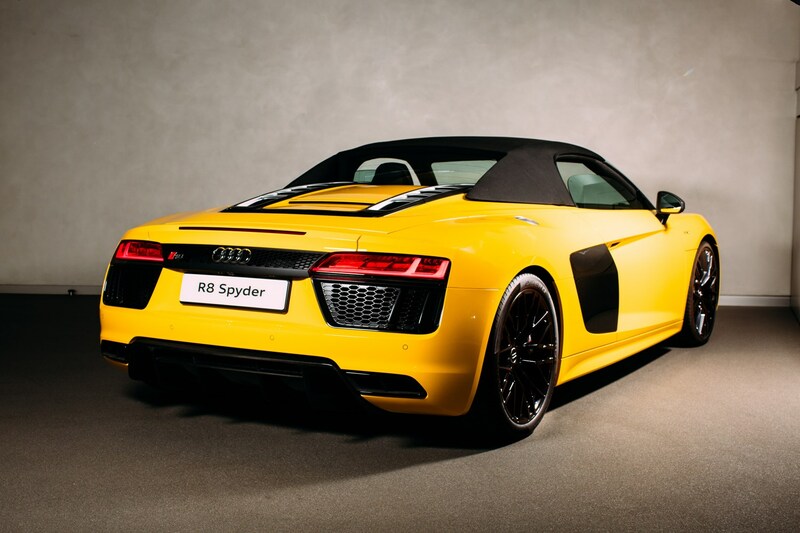 Weighing in at 1,680kg the R8 V10 Spyder RWS was 40kg lighter than the equivalent Quattro all-wheel drive model. 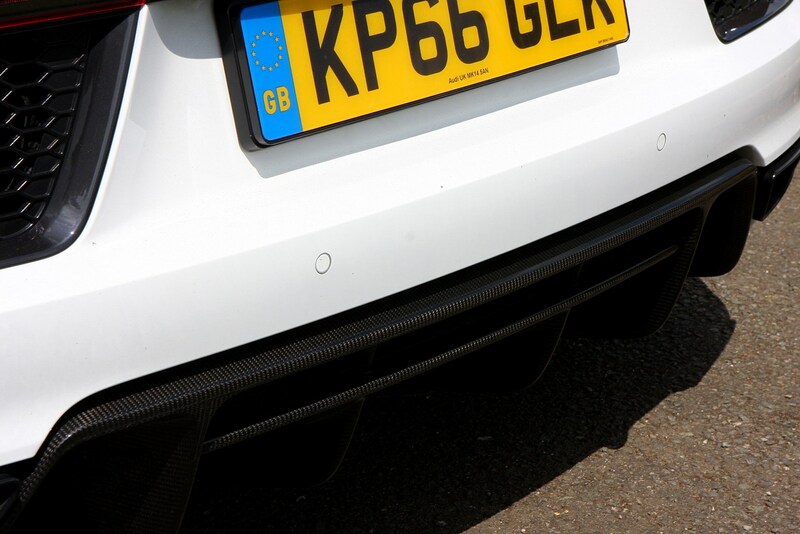 All RWS cars came with black-finished 19-inch cast aluminium wheels as standard with an optional red racing stripe also available. 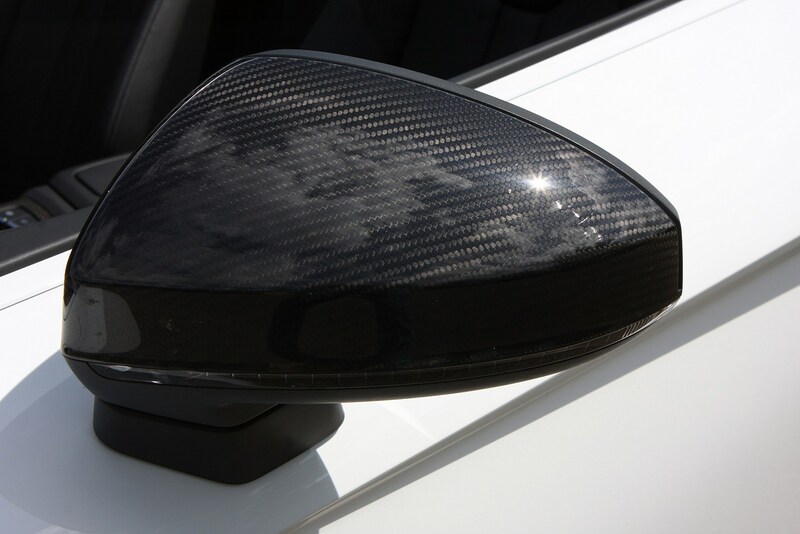 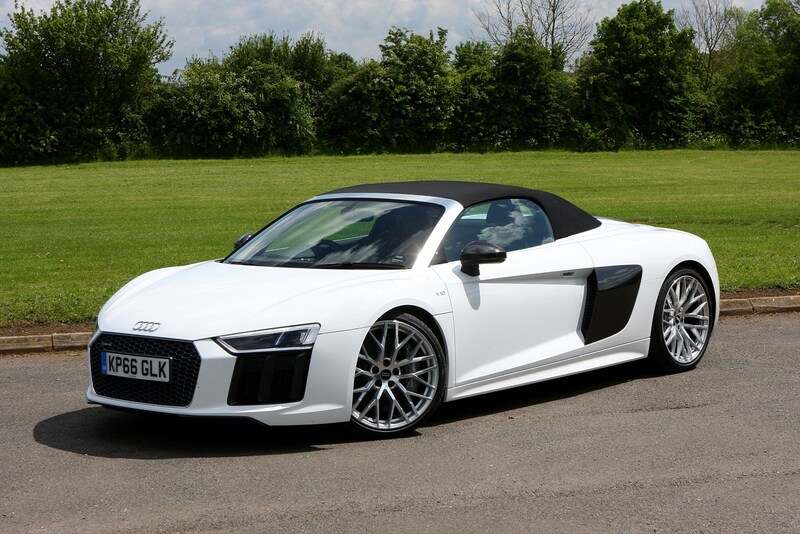 Production was limited to 999 units with an entry price of £118,690 – definitely one for future investors. Should you buy an Audi R8 Spyder? 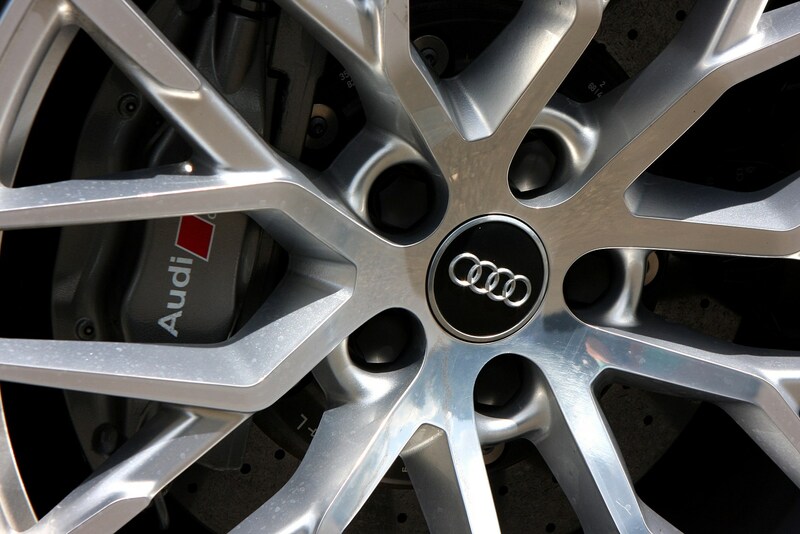 It all comes down to personal preference. 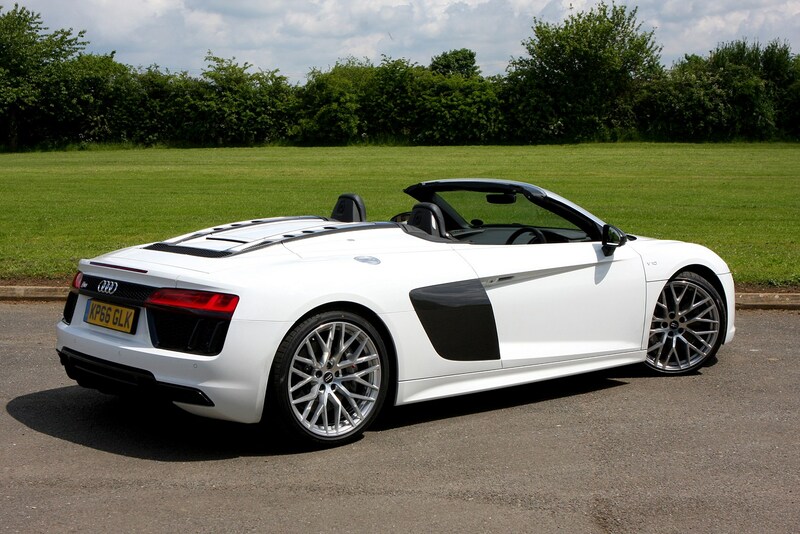 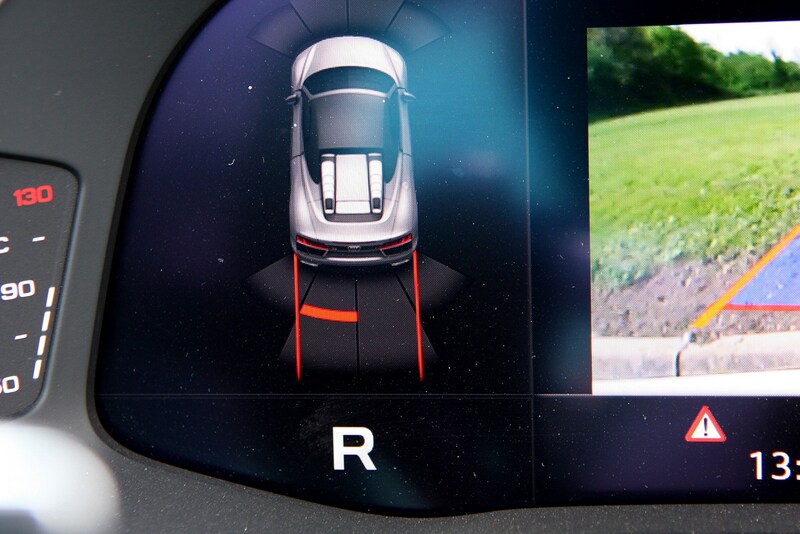 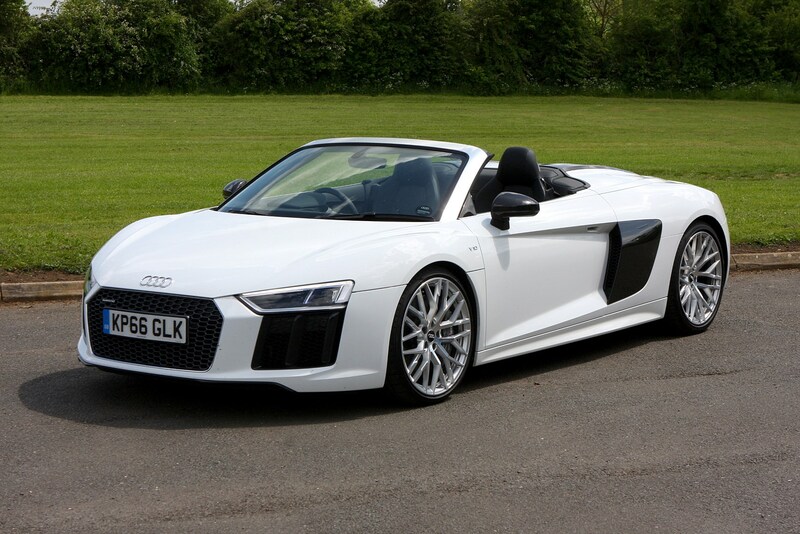 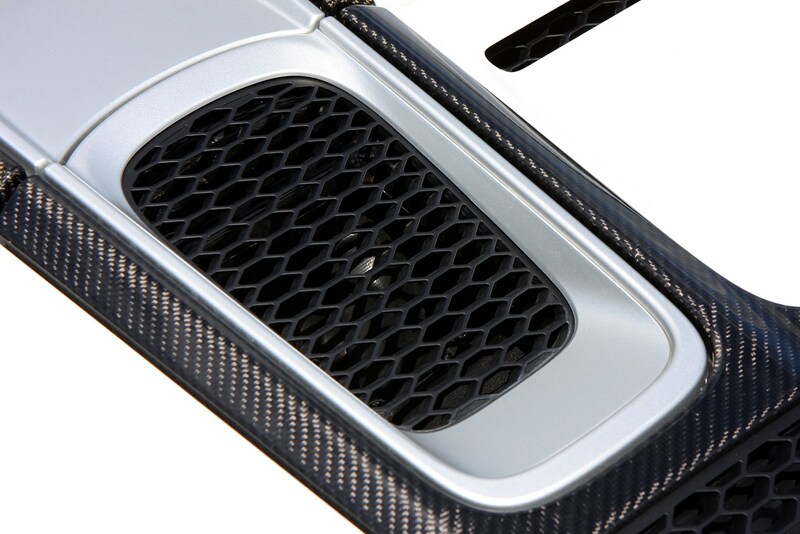 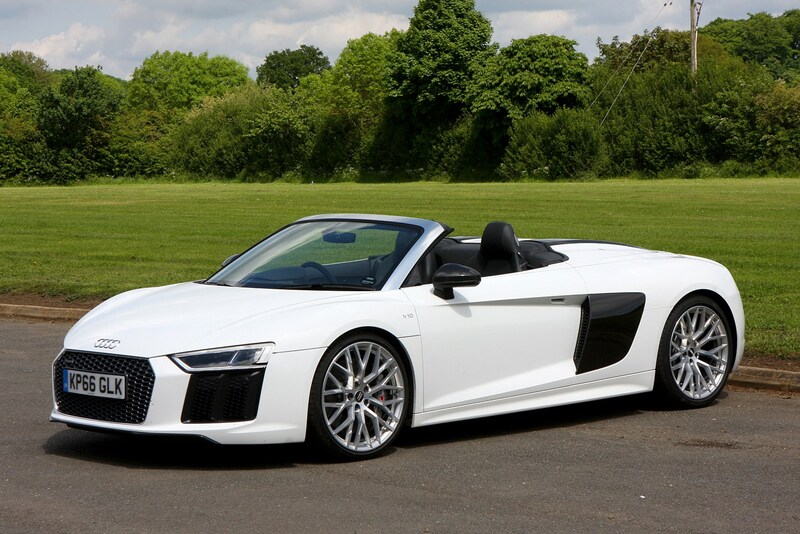 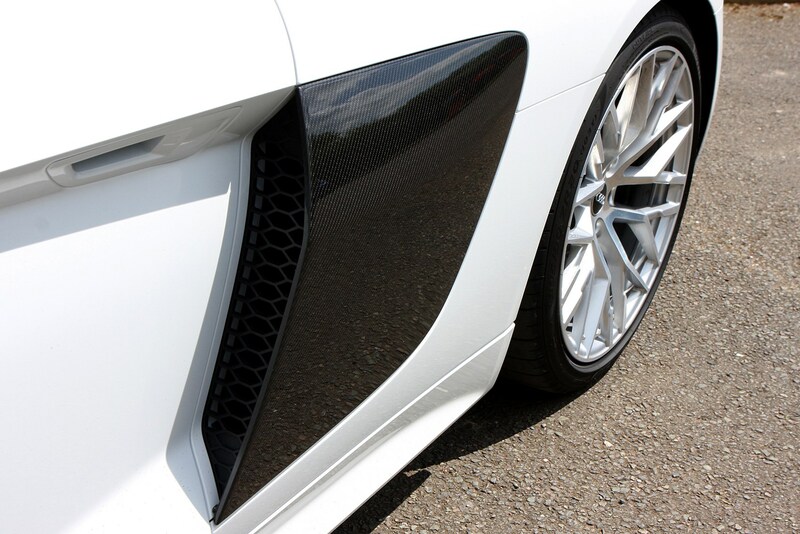 The R8 Spyder is an engineering marvel, with near-unbeatable handling, grip and performance. 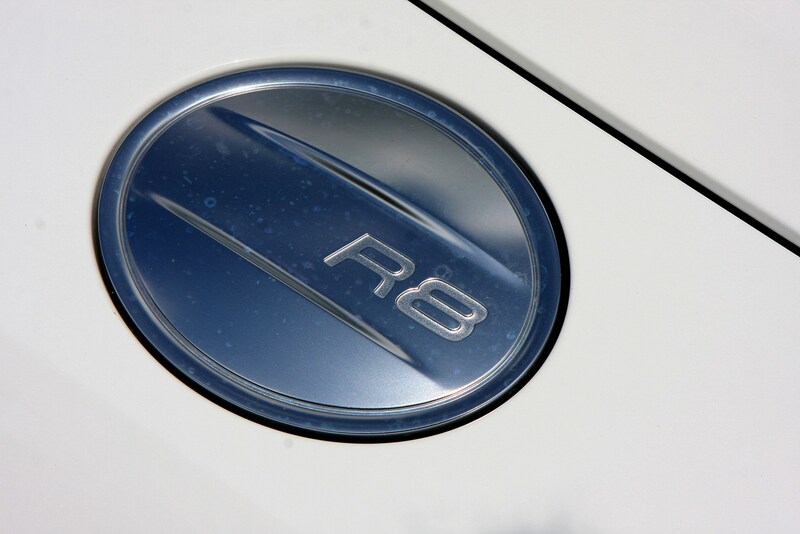 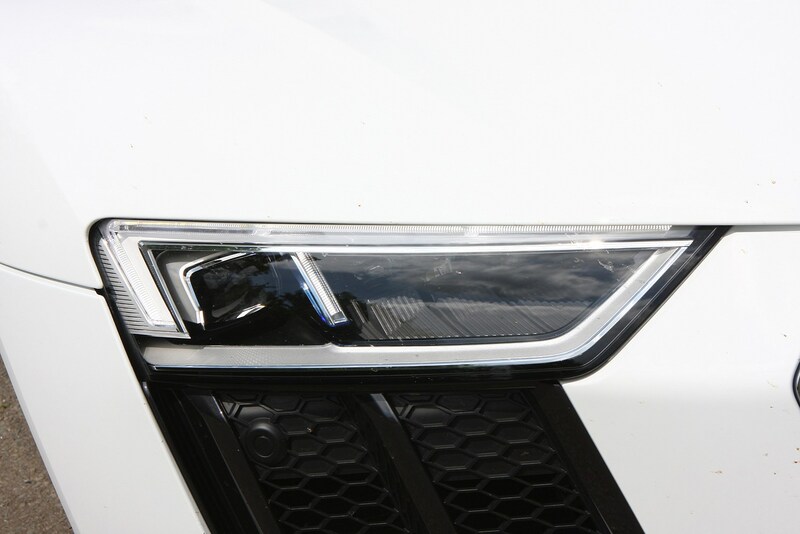 But there are some who might feel that the Audi badge doesn't open as many doors as a prancing horse or raging bull. 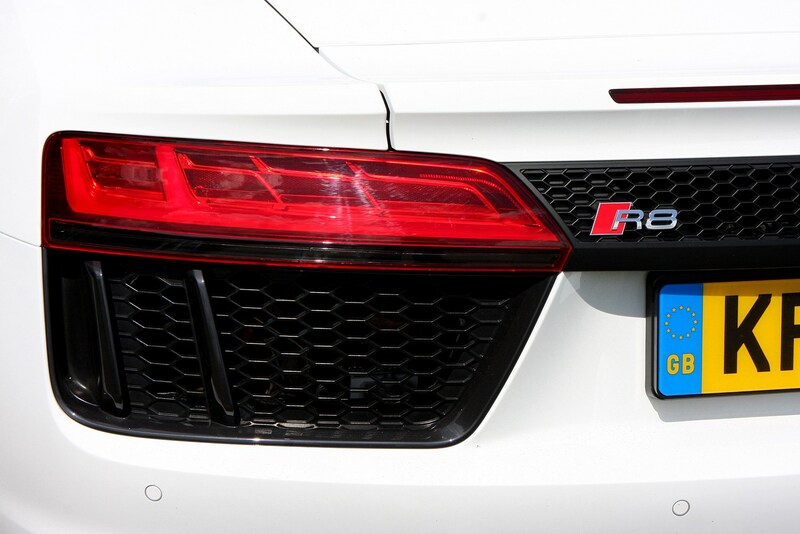 In reality, the R8 is the real thing, and has the added advantage of being perfectly driveable for anyone, whether they have supercar experience or not. 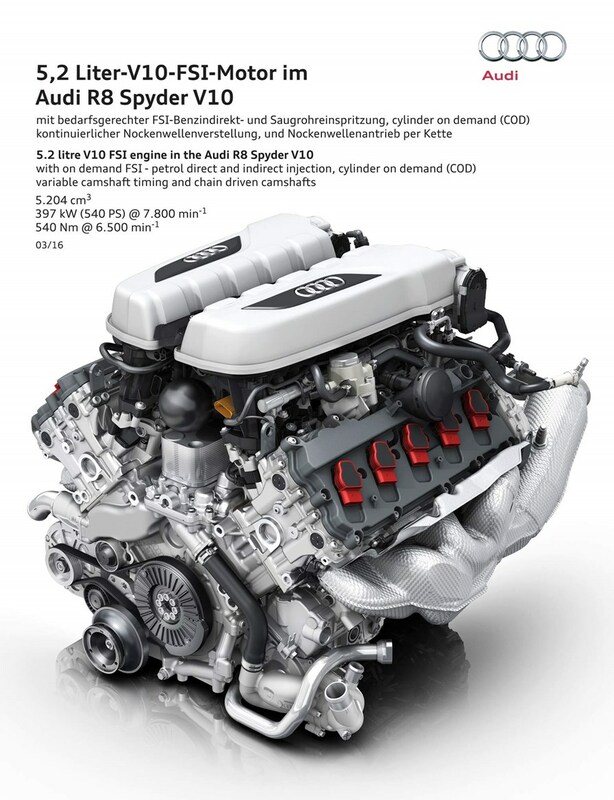 Yes, it does have its drawbacks in practicality and running cost stakes, but makes up for it with one of the best engines around. 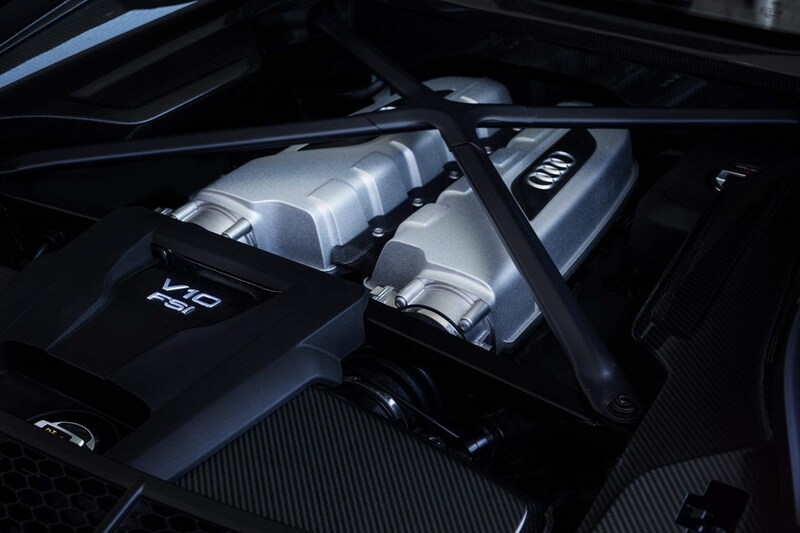 We love that it's a naturally aspirated V10 in a world filling up with turbocharged V8s, which means it sounds like no other car for the money. 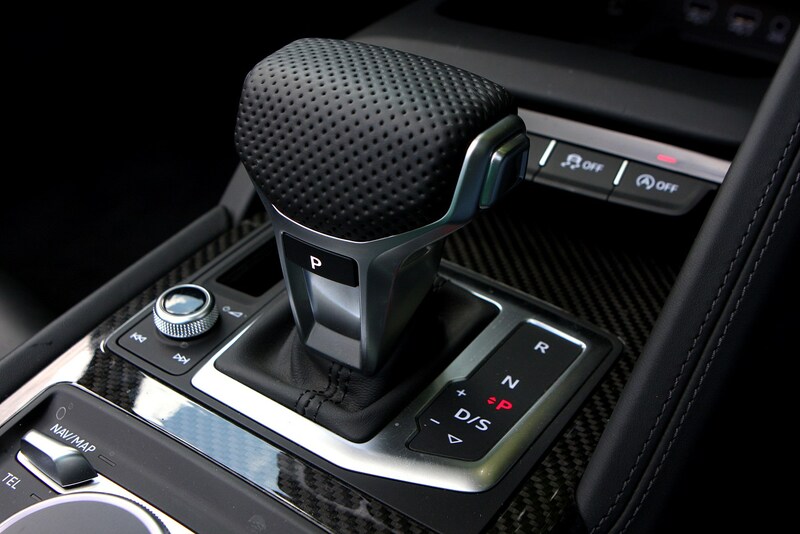 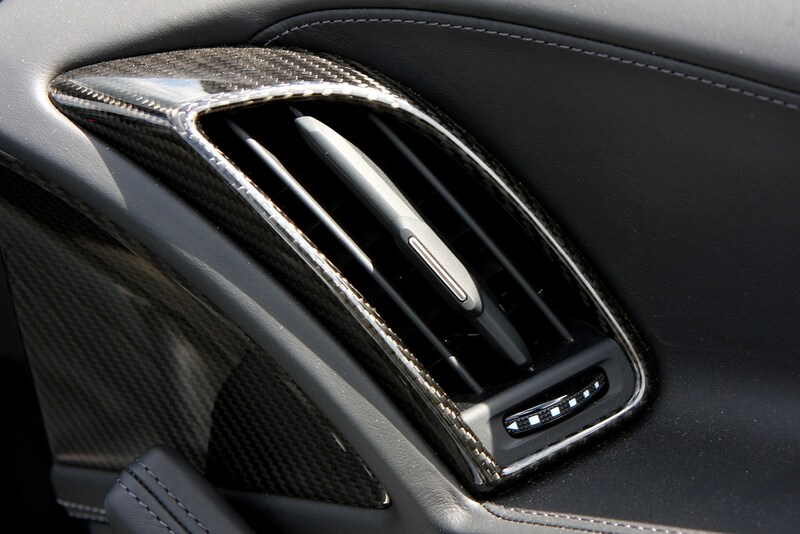 You can't really go quietly, but then, who does in in a supercar. 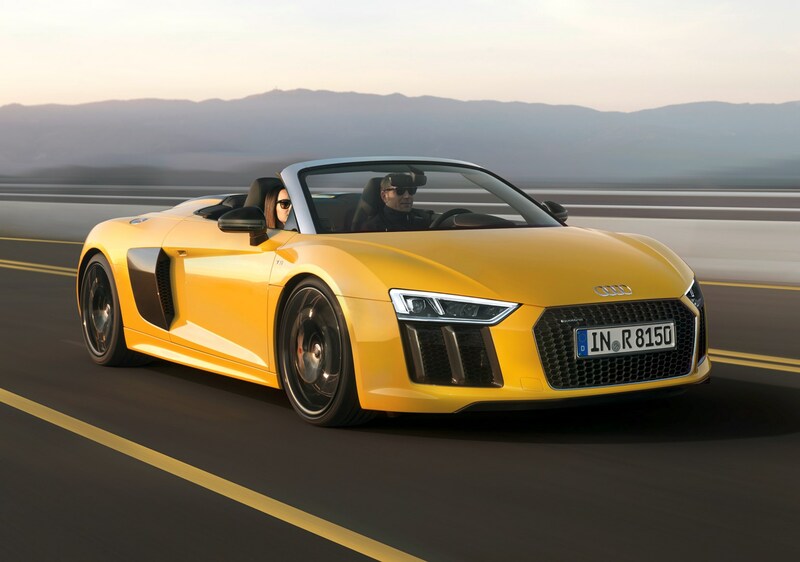 In terms of how it drives, the Audi R8 Spyder – especially in Performance form – should satisfy the needs of all but the most committed racing drivers. 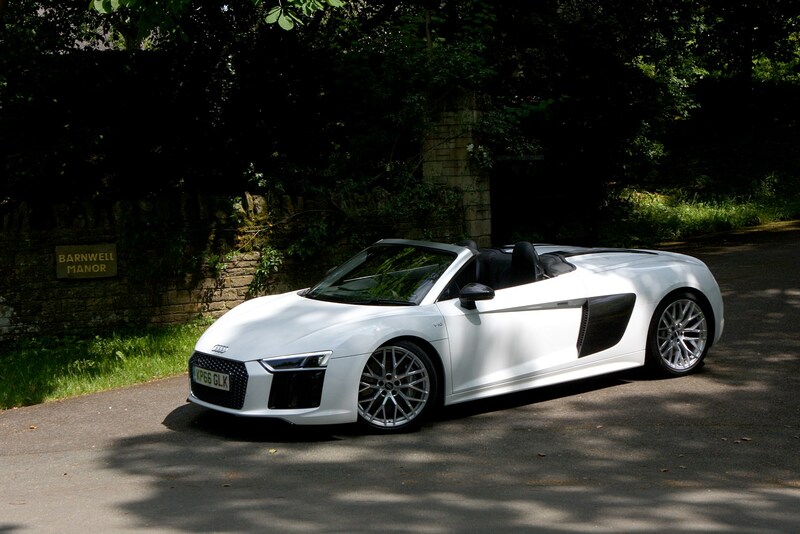 Theres's very little difference between this and the coupe, either – although roof down, you get fuller access to its amazing soundtrack. 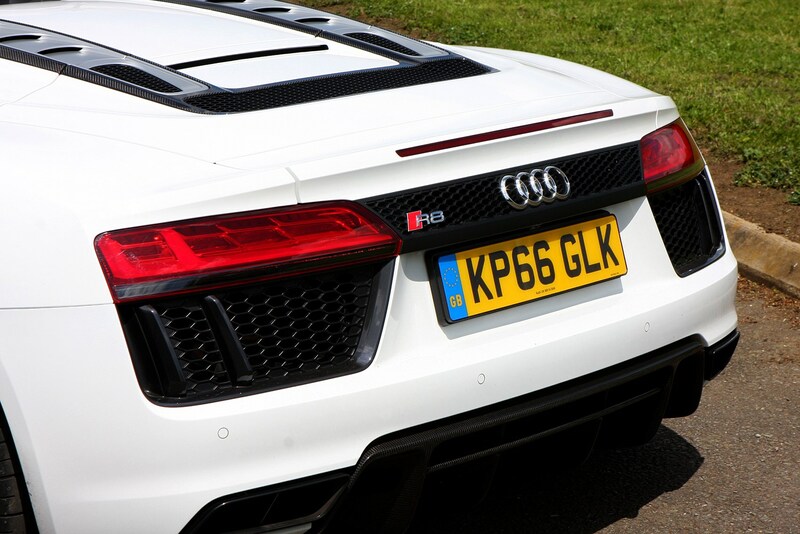 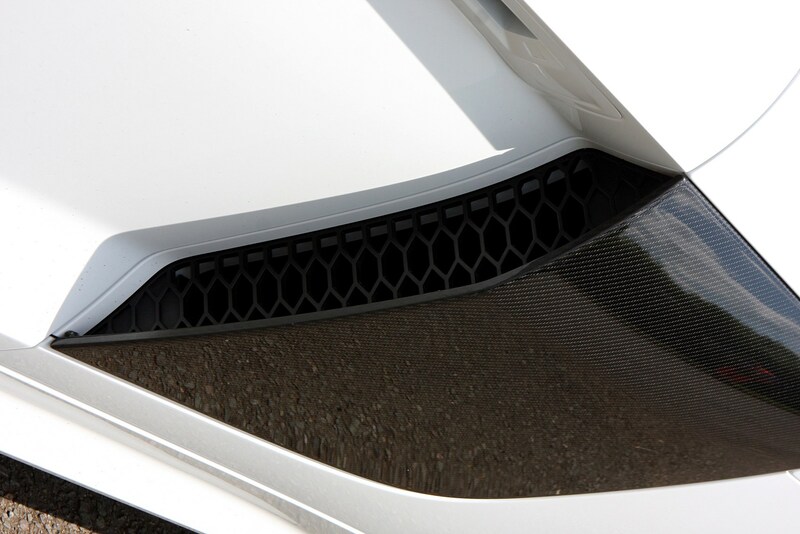 On the road, it delivers all of the grip, acceleration and noise you'd ever want in your supercar. 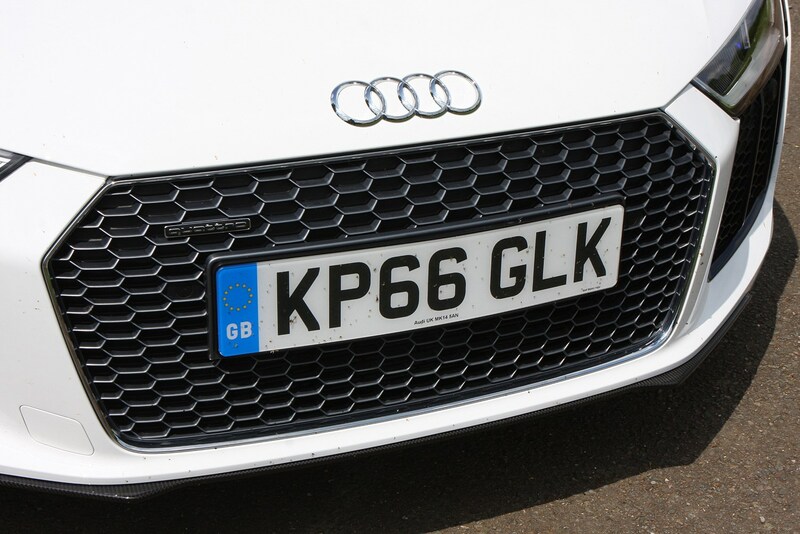 The 2019 facelift has brought a little more power and dynamic focus, without robbing it of any of its all-round accessibility. 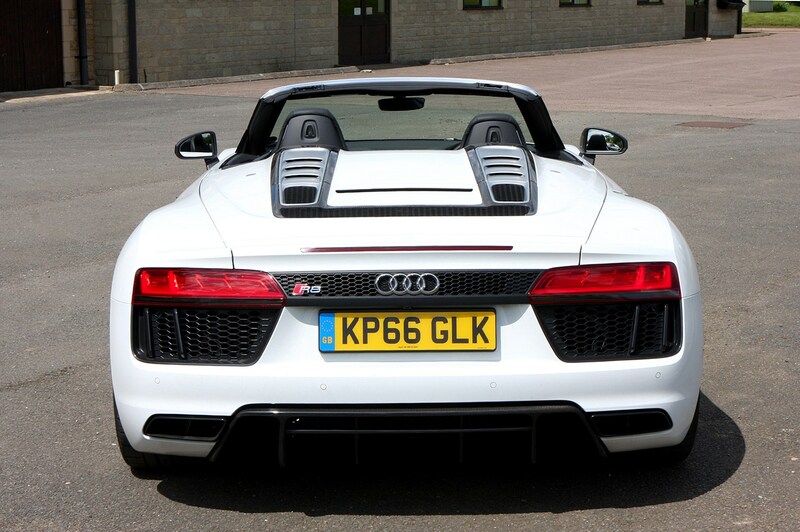 In short, it still plays the role of supercar for anyone supremely well.